Visit www.rhythmroom.com for details and tickets! December 23, 2015 – Happy Holidays From The Bob Corritore Blues Newsletter! Thank you everyone for your cherished friendship and support! It has been an amazing year filled with great touring, recording and musical expansion. And thanks for the great acceptance, reviews, articles, airplay, show attendance and nominations! Some great appearances and recording sessions this year with: Henry Gray, BobMargolin, Bob Stroger, Big Jon Atkinson, Rhythm Room All-Stars. Dave Riley/Bob Corritore Juke Joint Band, John Primer, Junior Watson/Fred Kaplan’s West Coast Blues All Stars, Tail Dragger, Bob Stroger, Willie Buck, Eddie Taylor Jr., Diunna Greenleaf, Andy T / Nick Nixon Band, Lil’ Ed, Sugaray Rayford, Alabama Mike, Tomcat Courtney, Adrianna Marie & Her Groovecutters, Rockin’ Johnny, Mud Morganfield, Oscar Wilson, Dave Specter, Eddy Clearwater, Billy Flynn, Kenny Smith, Leon Blue, Russell Jackson, Mitch Woods, Karen Lovely, Lisa Mann, Rocket 88s, Tommy Castro, Johnny Sansone, Annika Chambers, Tab Benoit, Illinois Slim, Brandon Santini, Reba Russell, The Mannish Boys with Monster Mike Welch, and Anthony Geraci, The 44’s, Sonny Rhodes, the Fremonts, Darrell Nulisch, the Peterson Brothers, Sterling Billingsley, Big Llou Johnson, Jimmy “Prime Time” Smith, Little Victor, Jimmy Carpenter, Deanna Bogart, Randy Oxford, Missy Anderson, John Nemeth, Igor Prado, Bobby Dixon, Clay Swafford, Billy Price, Gaye Adegbalola, Umberto Pocaro, Ray Hearndon, Steve Kozak, Shoji Naito, Miss Lee, Heather Crosse & Lee Williams, Bob Welsh, George Bowman, Paris James, Cold Shott & The Hurricane Horns, and many others! 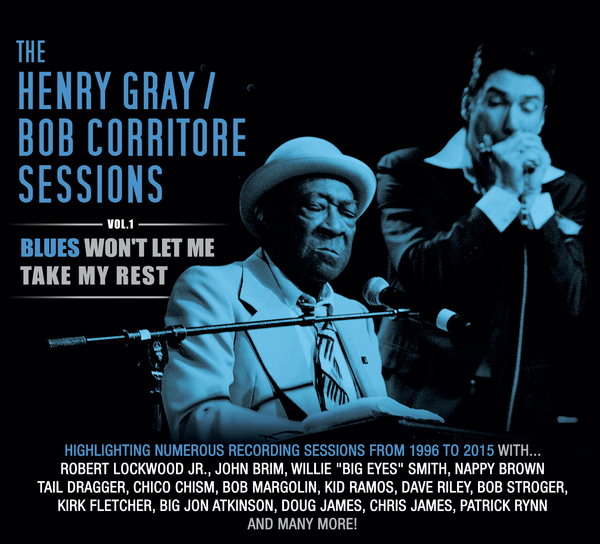 This year I released the BMA nominated Henry Gray / Bob Corritore Sessions / Blues Won’t Let Me Take My Rest, on the Delta Groove Music label in celebration of my dear friend Henry Gray’s 90th year and our 19 years of working together! I also made guest appearances on CDs by Sugaray Rayford / South Side, Big Jon Atkinson / Back Down South and Kathy Boye / The Power Of My Shoes. The Rhythm Room had a wonderful year and Those Lowdown Blues radio show on www.kjzz.org is currently 31 years old and going strong. It is a blessing to be a part of this wonderful blues family! Wishing happy holidays and all of life’s blessings to you all! 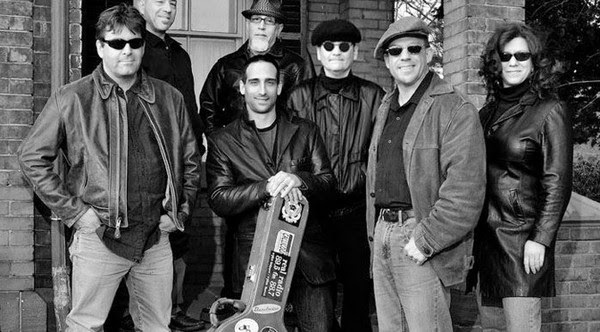 L-R Brian Fahey, Daniel Michel, Henry Gray (seated), Bob Corritore, Big Jon Atkinson, and Troy Sandow. Check out http://www.bobcorritore.com or www.facebook.com/bobcorritore for more information and to stay connected. Tonight at The Rhythm Room – A Holiday Food Drive for a great cause! Click here for details. Visit www.montereycourtaz.com for information and tickets! Visit www.rhythmroom.com for more info and tickets! Visit www.rhythmroom.com for information and tickets! 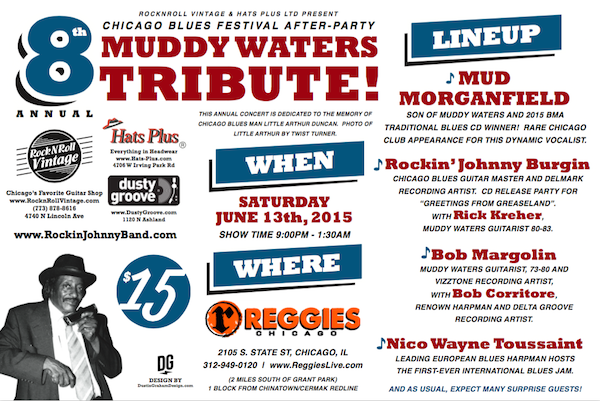 Do not miss this great Chicago Blues show Friday night at The Rhythm Room! October 7, 2015 – King Biscuit Blues Festival! The King Biscuit Blues Festival in historic Helena, AR commences this week! Bob Corritore appears as a special guest with the amazing Andy T / Nick Nixon Band on Saturday, October 10 on the Main Stage! For the complete Fest lineup click here. Bob Corritore also appears Sunday at Hopson’s Plantation in Clarksdale, MS for the Pinetop Perkins Homecoming with the Bobs Of The Blues (Bob Margolin, Bob Stroger, Bob Corritore). A great week of blues in the Deep South! Bob Corritore’s birthday party happens this Saturday at The Rhythm Room with music by the great Missy Andersen Band from San Diego! Please join Bob for this celebration! No presents please – just your presence! Visit www.rhythmroom.com for more info! A great Bluesman, a great man. Blues Blast Music Award Voting closes on September 15. Blues Blast Magazine has recently announced the nominees for the 2015 Blues Blast Music Awards and voting is underway! Voting is open to the public until the closing date of Sept 15, and you can see all the nominees, make your choices, and vote at BluesBlastMagazine.com. Winners will be announced September 25th at the 2015 Blues Blast Music Awards ceremonies, held at The Fluid Events Center in Champaign, Illinois. The awards ceremony will feature music by the artists nominated. The ever-expanding awards party is always a fun, star-studded event filled with great performances. Thank you Blues Blast Magazine! Anthony Gomes, #1 Billboard Blues Artist, is a triple threat force as a guitarist, vocalist and songwriter. Gomes has headlined concerts in 17 countries and has had the honor of sharing the stage with B.B. King, Buddy Guy, Robert Plant, Joe Bonamassa, Heart, Jonny Lang and Kenny Wayne Shepherd. 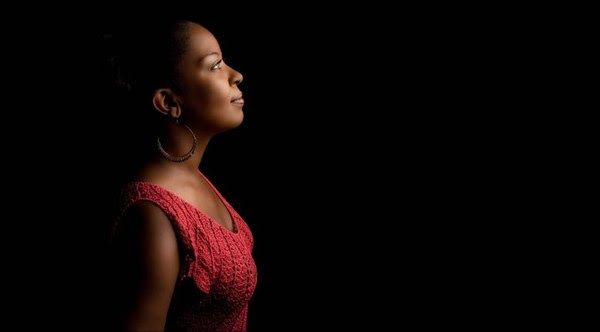 In 2005, Alexis recorded her first full length CD entitled “Shuga Fix” featuring original tunes and a more soulful sound. To her credit she has recorded a total of 6 CDs thus far. 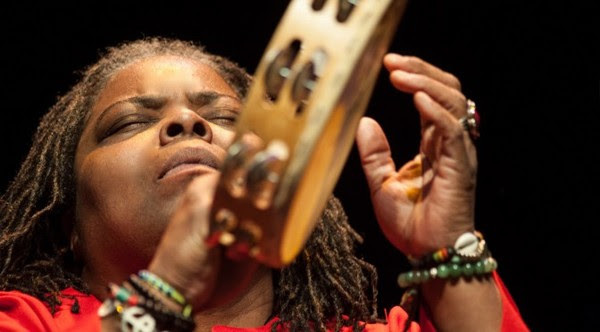 In addition to “Shuga Fix” are “Just Another Fool”, “Alexis P Suter Band LIVE at the Midnight Ramble” (Alexis went on to open for the late Levon Helm at the Midnight Ramble in Woodstock, NY over 90 times), “Two Sides”, “Live at the Turning Point” and her current Blues/Rock CD Love the Way You Roll. The latter is presently doing very well on all of the Blues Charts. 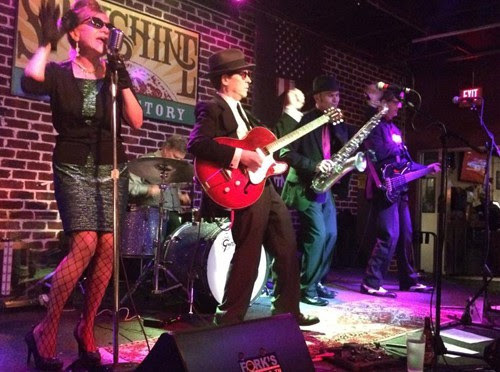 Second-place finishers at both the 2014 and 2015 International Blues Challenge, the Ghost Town Blues Band have graduated into a signature local blues act, on Beale Street and beyond, and a notable name on the genre’s wider landscape. Hard Road to Hoe, released earlier this year, only adds to those credentials. 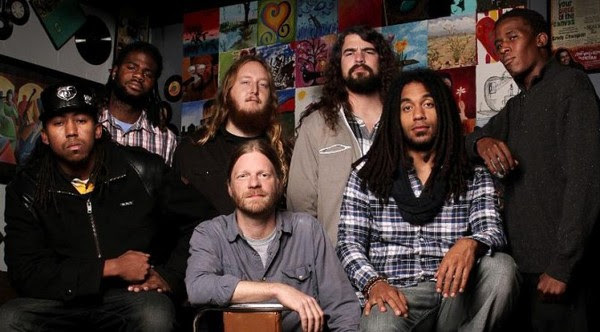 This is a modern Beale band informed by both the rural accents of the Mississippi Hill Country and the second-line strut of New Orleans, with prominent horn and organ/piano presences. 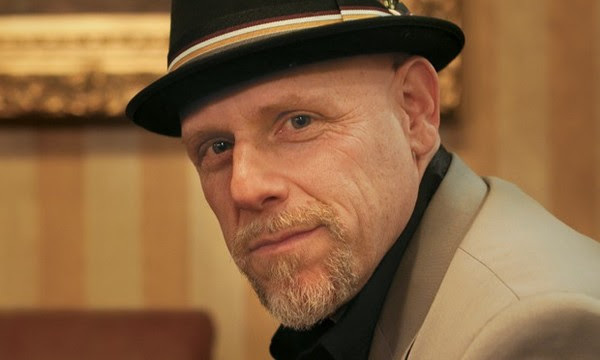 Blues guitarist, bandleader and producer Dave Specter has earned an international reputation as one of the premier talents on the Chicago blues scene. Since 1985 Specter has performed regularly at top Chicago blues and jazz clubs in addition to festivals and concert halls throughout the USA. Dave’s latest album, Message in Blue features special guests Otis Clay, Brother John Kattke and Bob Corritore. It’s currently topping the Roots Music Report’s blues charts and has received rave, 4 star reviews from Downbeat Magazine and All Music Guide. 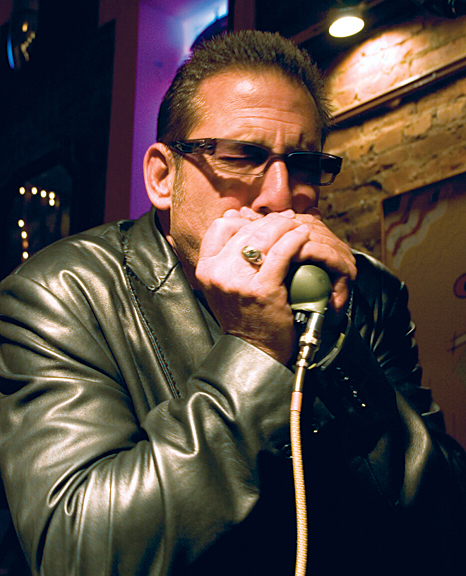 Bob Corritore is one of the most active and highly regarded blues harmonica players on the scene today. 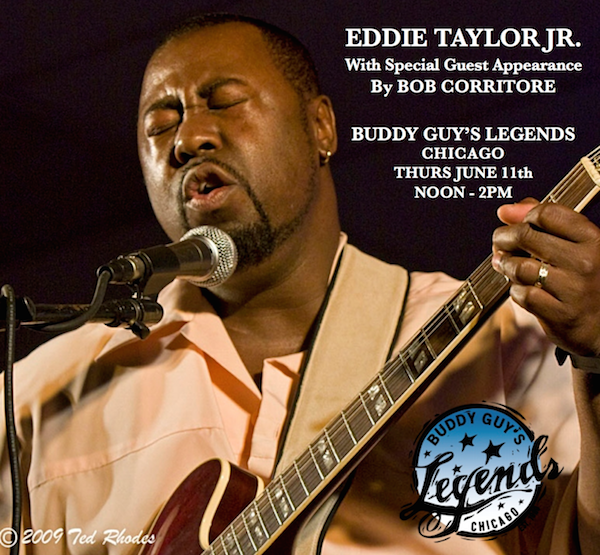 His style passionately carries forward the old school of playing that Corritore learned as a young man directly from many of original pioneers of Chicago Blues. His sympathetic, yet fiery harmonica playing is featured on over 50 releases to date, on labels such as HighTone, HMG, Blue Witch, Blind Pig, Earwig, Ruf, Putumayo, Random Chance, and the VizzTone Label Group and the great Delta Groove label, which he is currently signed to. Many of Bob’s acclaimed releases have been nominated or winners for various Handy, Grammy, and Blues Music Awards and Blues Blast Music Awards. Bob is also widely recognized for his many roles in the blues, as band leader, club owner, record producer, radio show host, arts foundation founder, and occasional writer. His amazing website and his weekly e-newsletter reflect a life thoroughly invested in the blues. John Ginty is an American organist, keyboard player, songwriter, and producer from Morristown, NJ. He has toured and recorded with artists such as Jewel, Citizen Cope, Santana, Dixie Chicks, Matthew Sweet, Court Yard Hounds, Bad Religion, Ron Sexsmith, Charlie Mars, and he was an original founding member of Robert Randolph and the Family Band. 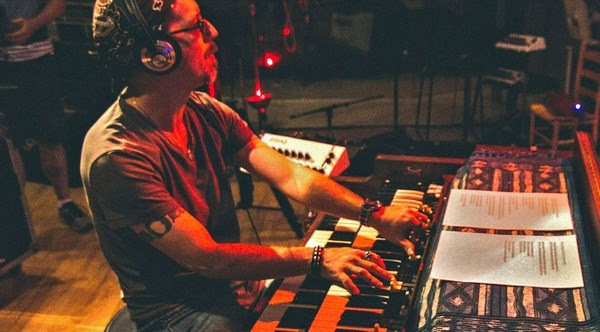 His discography spans almost two decades and demonstrates his eclectic influences and unique sounds on the keys. His live 2014 CD Bad News Travels LIVE! captures the spirit of a live Ginty performance, in all of its unapologetic, mind-numbing intensity. His recently released studio recordingNo Filter is at the top of many Blues charts. and Ginty and his band have been touring throughout the summer of 2015. Nick Nixon is one of those amazing artists that rarely surface today. This velvet voiced singer was born and raised in Nashville, TN, and was part of the thriving Jefferson Street blues scene of the 60′s. Nick was a Chess Records recording artist in the 70′s, and is a key figure in the reviving Nashville blues scene today. As a long-time member of The New Imperials, an act with a forty-five year history, Nick has performed with many of the top blues and R&B artists. “Andy T” Talamantez was born and raised in Southern California, and relocated to Nashville in 2008. His guitar style is influenced by T-Bone Walker, BB King, Magic Sam, and Albert Collins among others, yet it remains his own. 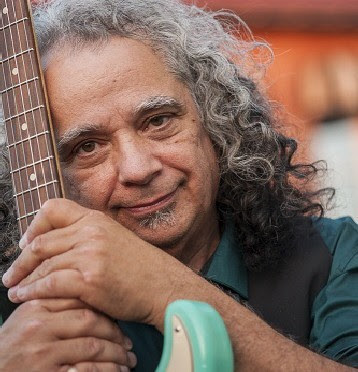 Andy has toured internationally with blues greats Guitar Shorty and Smokey Wilson. 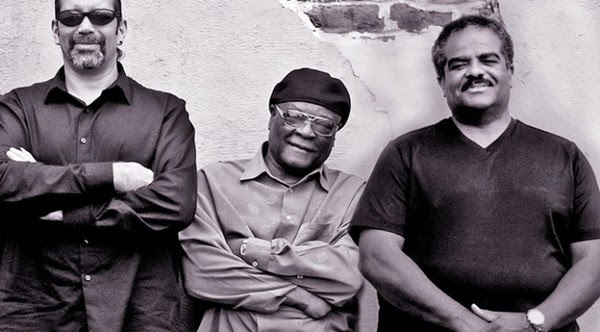 Their 2014 Delta Groove release Livin’ it Up received numerous nominations including a nomination for a Blues Music Award and garnered considerable airplay. Their followup release on Blind Pig Records, Numbers Man is scheduled for release on August 28th. Tad Robinson would have fit in snugly with the blue-eyed soul singers of the 1960s. His vocals virtually reeking of soul, he’s capable of delving into a straight-ahead Little Walter shuffle or delivering a vintage O.V. Wright R&B ballad. Add his songwriting skills and exceptional harp technique and you have quite the total package. Tad’s new album, Day Into Night on Severn Records debuted among the Top Ten releases in the Living Blues International Radio Chart for the month of April! And, Day Into Night has been nominated for a 2015 Blues Blast Music Award for Soul Blues Album of the Year! 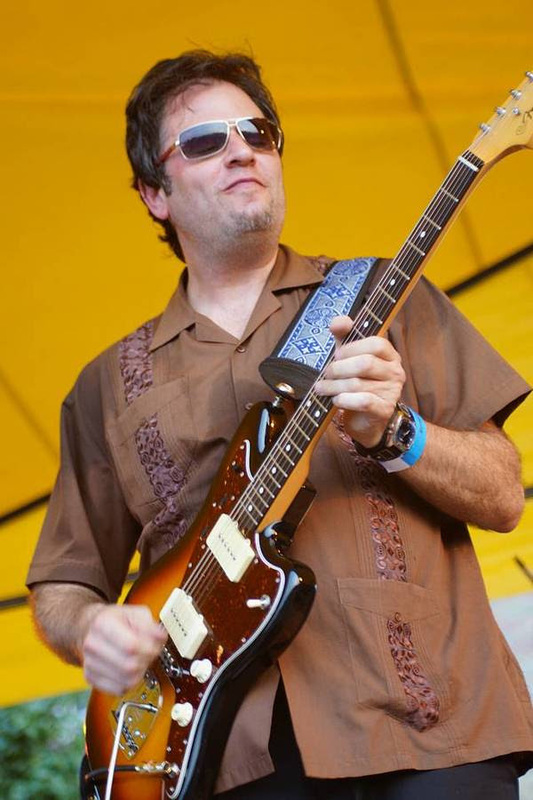 Tad has been nominated for seven Blues Music Awards since 2005. Slam Allen has been entertaining with his unique blend of soul and blues for over twenty years. Playing the famous Chitlin’ Circuit as well as performing around the world, Allen’s music and enthusiasm has been shared with thousands of people. For the past five years he has played an important role in the legendary James Cotton Band. Music is in Allen’s blood — he got his start from his father and uncles who were known as the Allen Brothers Band. Allen carries on the family legacy wherever he goes. His music runs deep. “When I play,” says Allen, “People who may have never heard of me leave the show with a feeling like that we’re old friends or family.” From B.B. King to Otis Redding. Slam has a way of making you feel the Soul of the Music. Sometime you cannot tell if he is doing one of his originals or a old blues or soul cover cause he makes all the music his own. Bobby’s touring and recording band is second to none and is considered one of the hottest on the Contemporary Blues scene. Chris’s musical background includes duties as lead singer and front man for rock and roll hall of famer and Grammy award winner Levon Helm’s band The Barn­burn­ers. Dur­ing the 6 years that Chris and Levon played together they toured across the US and Canada lighting up stages everywhere they went. Chris has appeared on stage with: Leg­endary Rolling Stones side­man Bobby Keys, The Fab­u­lous Thun­der­birds, Jimmy Vivino, Jeff Healy, Dan Akroyd, Albert Lee, Dave Edmunds, Dave Maxwell and the great James Cot­ton to name just a few. Chris has also recorded with Bill Perry and Hubert Sum­lin among others. 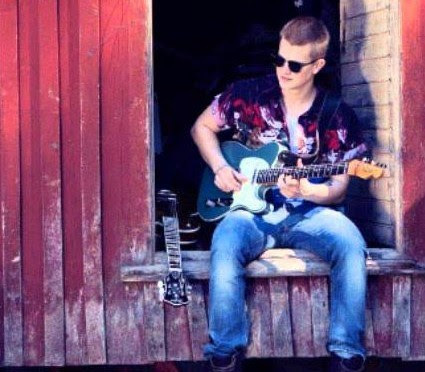 Sensational 18-year old Norwegian guitarist/songwriter Magnus Berg has been leading his own band since age 16. Having toured all over Norway from top to bottom, from the West to the East, he began to perform on the same coveted Norwegian festival lineups as established international touring artists coming through his homeland. He received his first guitar (built by his grandfather) at the age of seven. Early on, Berg discovered classic rock and the first guitarist he tried to emulate was Angus Young (AC/DC). He took his admiration of Young and other classic rock guitarists even further, setting out to discover the roots of the music he was listening to. This is where he found the Blues and artists such as B.B King, Howlin Wolf, Muddy Waters, Stevie Ray Vaughan, Otis Rush and Jimmy Reed. These musicians have become the inspiration behind his melodic and gutsy guitar style. Magnus ic coming all the way from Norway to perform at the 2015 Blues Blast Music Awards. 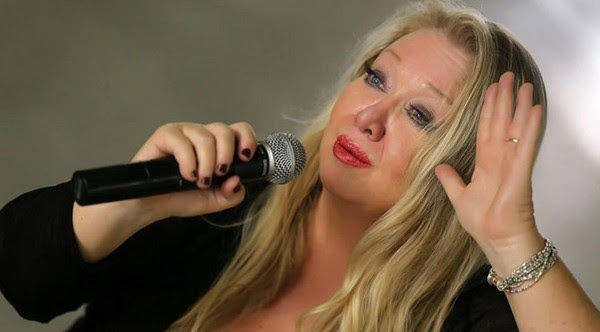 Los Angeles based Deb Ryder is best known for her powerhouse vocals, incredible range, and classic blues style. Just back on the local scene in the last few years, she is receiving acclaim from music critics as an up and coming blues artist, song writer, and recording artist. Deb’s passion for singing is matched by her powerful bluesy voice. Her writing and musical style ranges from the classic and familiar, to the more modern styling’s of today’s blues artists. This collection of original tunes were written from real life experiences, with just a touch of whimsy. Born in Peoria Illinois, the family moved to Chicago where Deb was surrounded by the blues of Chicago’s streets and clubs. At a very young age, she was exposed to Jazz, Blues and Gospel by her father, Allan Swanson, a local singer, and Chicago music sensation. When the family relocated to Los Angeles, Deb regularly performed at her stepdad’s famous 70’s Rock and Roll club, The Topanga Corral, opening for many blues legends such as Big Joe Turner, Charlie Musselwhite, Etta James and Taj Mahal. During that same time, Deb spent time with Etta James who mentored her, and collaborated on some projects which forever and indelibly stamped her style, and sealed her love of singing, and of the blues. These collective artists, and her personal experiences with them over many years formed the influences that are recognizable in her vocal and writing style. Her current release, In the Moment, has 11 varied tracks including 8 originals, five of which are penned by the Andersens. Recorded with heavy hitters Bill Stuve (bass), Marty Dodson (drums), Sue Palmer (piano), Ben Moore (organ), and guest appearances by Nathan James and James Harman, the CD takes the listener down a lush musical path. Beginning with the Louis Jordan-esque “Rent Party” and ending with a gospel-tinged remake of Snooks Eaglin’s “I’ve Been Walkin’,” the disc has something for everyone. From Chicago blues to New Orleans second-line beats, slow blues and soul ballads, Memphis soul to funky Meters-like rhythms. It’s all in there and it’s easy to understand where those wide-ranging influences come from. The Duo Sonics bring a unique blend of blues and roots music to the stage. 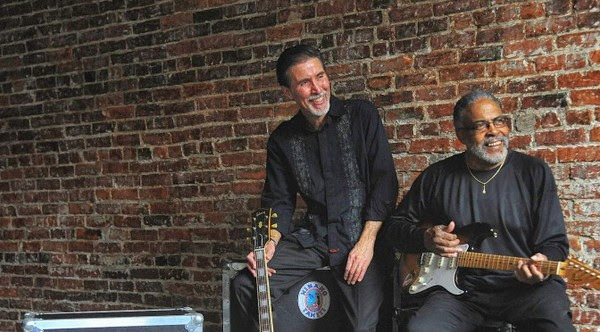 Featuring Bob Parker playing reso-phonic guitar, baritone guitar, six-string bass and mandolin, with David Berntson on Hohner diatonic and chromatic harmonicas and concertina, the Duo Sonics interpret classic blues in an exciting, high-energy show. 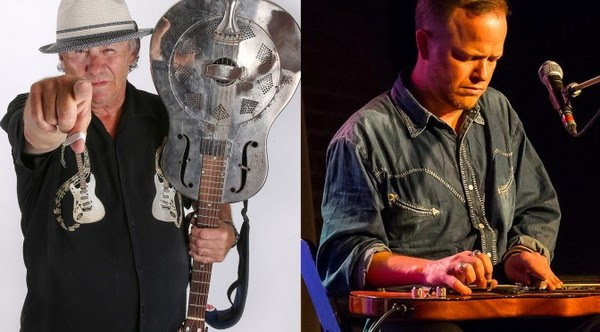 Whether playing a slow blues, dripping with amplified harp and slide guitar, or a full-blown boogie-woogie or jump blues number, this duo can really sing and swing. Bob Parker has played blues professionally for over 35 years, most recently with the Oscillators and with Junior Markham. A native of Tulsa, his heartfelt and steady guitar technique reflects Oklahoma and Texas blues traditions and creates an incredibly full sound. David Berntson has also played blues for over 35 years, both in his home state of Illinois, and in Oklahoma. He is a master of Chicago blues, Mississippi Delta style blues and jump blues. His ability to connect with an audience, coupled with his passion for the Blues, makes for a dynamic and entertaining musical performance. In addition to playing with many Tulsa area bands, David was awarded the “Keeping the Blues Alive in Education” award from the Blues Foundation in 2006. Big Dave McLean is the heart and soul of the Winnipeg music scene, has been singing the blues better than anyone for decades now. It’s a journey that’s taken him hooting, hollering and testifying through every juke joint and dance hall across the country more times than he can remember. If there’s a blues club in Canada worth its salt, he’s played there. After all, how many other singers had their first guitar lesson from John Hammond and got to open up for Muddy Waters? Steve Dawson will be accompanying Big Dave at the awards. In the same way you can recognize that it’s Bert Jansch, Ry Cooder, or Mississippi John Hurt playing guitar after hearing just a few notes, Steve Dawson has established a voice for his instrument that is as distinct as any of theirs to become one of the most identifiable sounds in modern roots music exploring the infinite possibilities offered by his pallet of acoustic guitars – both 6 and 12-string acoustics, a National tricone guitar, and a Weissenborn Hawaiian guitar – without any effects, or even a human voice to separate him from his audience. Heavy Water, debut CD performed by New Orleans-based Blues, R&B and Funk Band, Fo’Reel, includes an incredible performance by C.P. Love, legendary New Orleans soul singer; Johnny Neel, Grammy Award winning keyboardist, best known for his songwriting, stage, and session work for the Allman Brothers, Gov’t Mule, and Dickey Betts; Mark Domizio, Band Leader, guitarist and project creator. Heavy Water is a high-energy blend of Contemporary Blues that includes a lot of funky grooves that will make you want to move. Every song is strong and energy filled, the vocals are passionate, the guitar playing is deep and full of emotion, the keyboard and horns are a driving force to the overall distinctive style and sound. Anyone who enjoys strong-driven, energy-filled music will love this CD. It not only hits the listener with a variety of interesting styles like Swing and a Latin-Tinged Rumba, it embraces New Orleans Blues, R&B and Funk. Heavy Water also features Jon Smith, multi Grammy Award winning tenor saxophonist; Rick Lawson, singer song writer; Daryl Burgess, drums; David Hyde, bassist and co-producer; Ward Smith, baritone sax; and Barney Floyd, trumpet. 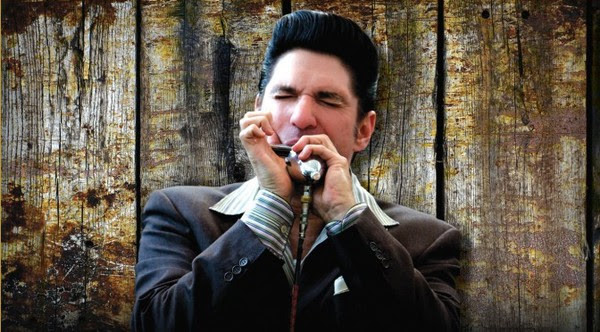 Big Harp George/George Bisharat is a San Francisco Bay Area blues singer and harmonica player who features the chromatic harmonica. George is a professor of criminal procedure and practice, Islamic law, and anthropology of law at UC Hastings College of the Law, expert commentator on law and politics in the Middle East, and former San Francisco public defender. His writings have appeared in The New York Times, The Wall Street Journal, The Washington Post, and many other publications in the U.S. and abroad. George counts George “Harmonica Smith,” William Clarke, and Paul deLay as major influences on his chromatic playing. 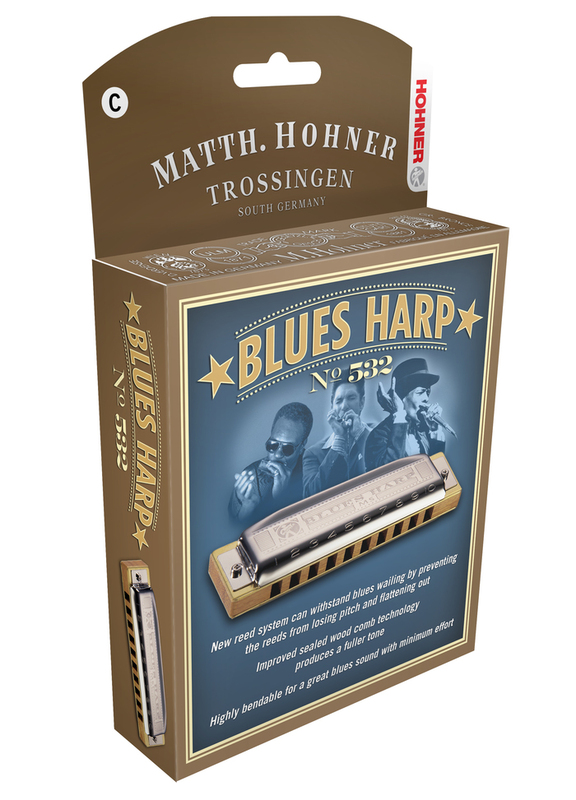 The chromatic (compared to the ten-hole diatonic more common to blues) has a distinctive voice, and lends Big Harp George’s sound a jazzy, contemporary, and sophisticated feel. 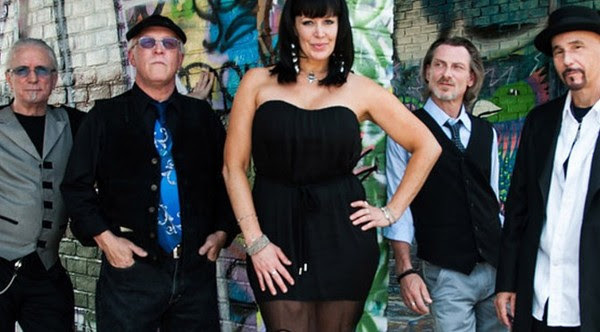 Proclaimed “a staple of the Midwest’s band scene” and “a festival favorite” by the Milwaukee Journal-Sentinel in 2012, Altered Five’s delectable brew of blues and soul is now quickly gaining national attention. The group’s third album, Cryin’ Mercy, was produced by Grammy-winner Tom Hambridge (Buddy Guy, Susan Tedeschi, James Cotton, etc.) and released in October, 2014. It reached #3 in the iTunes blues store and hit #1 on the Roots Music Report radio chart. Cryin’ Mercy won “Best Self-Released CD” at the 2015 International Blues Challenge. It’s been said that “the blues is a feeling,” so when the Minneapolis Star Tribune states that the band is a “righteous blast,” you know they play it right. Eight O’Five Jive has enough energy to power a small fleet of ’57 Cadillacs, with more than adequate fuel to ignite any stage on fire with their driving sound of swingin’ blues and early rock ‘n roll. Reminiscent of the classic era of the late 1940’s to the late 1950’s, when men wore fedora’s and strong women with attitude ruled the cocktail dress, jump jive defined an exciting era of music and dance. Freddy King, Mabel Scott, and Wynonnie Harris, and more, along with some original compositions, define Eight O’Five Jive as a creative ensemble of jump, and swingin blues. A few well-placed steamy jazz standards round out the sound, but also entice an intimate moment to linger over a martini, or a sloe gin fizz. Eight O’Five Jive redefines this exciting era not lost in time, but alive and jivin’ with classic and rare material that is well suited for dinner and drinks, but best suited for tapping feet and a lively dance floor. 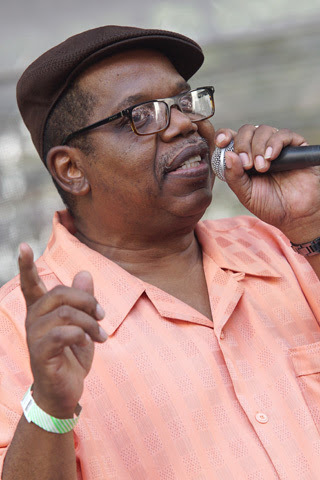 ​Singer and songwriter Oscar Wilson, a 6’3”is a 300 hundred pound Muddy Waters-type throwback to the heyday of the Chicago blues scene who fronts the award winning band Cash Box Kings. On their latest opus, Holding Court, the Cash Box Kings pay homage to some of the founding fathers of the Chicago blues scene but also help keep alive the musical contributions of lesser-known blues artists like Honey Boy Allen (“I’m a Real Lover Baby”), Willie Love (“Everybody’s Fishin’”) and Big Smokey Smothers (“I Ain’t Gonna Be No Monkey Man”). While the Kings have their feet firmly planted in these timeless musical traditions, they bring a spirited energy and updated approach to the music. While the subject matter of many of the songs is familiar (love, money and good times) they also touch on a number of current issues. “Download Blues” portrays the challenges of selling records and staying financially afloat in the era of digital piracy and streaming services. “Gotta Move Out To The Suburbs” describes the real struggle faced by many who are forced out of their neighborhoods due to gentrification taking in areas of Chicago and other urban centers in the U.S.
Markey Blue is “Blues to the Next Level” according to fans.- Reeves Guitars. An amazing group of talent brought together in the studio and on stage, creating there own unique sound of music. “its not like any blues or R&B I’ve heard out there. It opens the doors to several genera’s. Peter Fleming- Airplay Direct. There first Cd is due out this fall and is already creating a buzz through out the music industry. The Markey Band’s resume is and outstanding eclectic mix of the who’s who in both touring and recording. 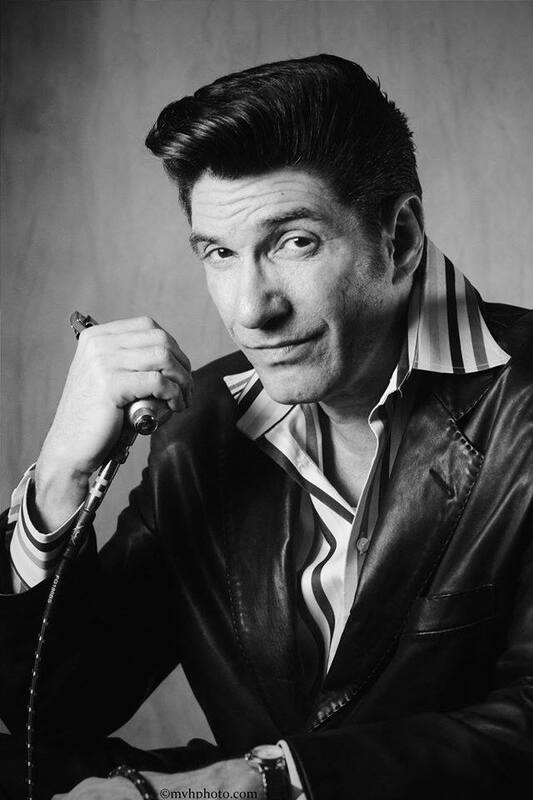 Markey has had the honor of performing for three past presidents, and has opened for and performed with the likes of Bobby Blue Bland, Candy Kayne, Taj Mahal, Steve Cropper,Anson Funderburg, Guitar Shorty, Frank Sinatra, Bob Hope, Frankie Valley, Andy Williams, Michael Fienstein, Robert Goulet, Maureen McGovern, Jack Jones, Micky Rooney, Phillis Diller, Sammy Kershaw, Kevin Sharp, The Osmonds, The Smothers Brothers and many more. Markey was recently awarded one of the top five song writers for Georgia’s Songwriter Showcase Award Show, and ESPN just featured one of Markey’s songs for one of their program specials. Markey has already seen success on a couple different music charts as a songwriter, arranger, and producer. 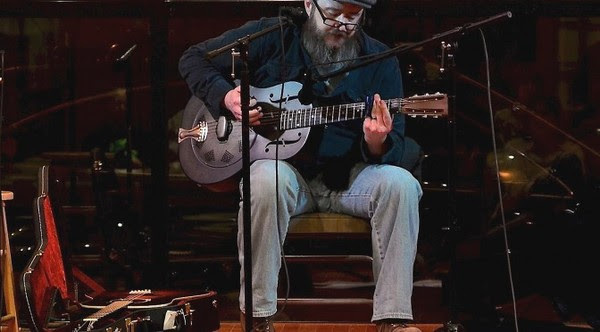 Dan Phelps is a native of Illinois, and currently resides in the northern city of Roscoe.He has been playing acoustic blues for the past 25 years, sharing the stage with local Illinois bands, as well as teaching private classes. In addition, he has spent the past 15 years dedicated to studying and playing the Delta style of blues. His CD releases have met with critical acclaim in US and British blues magazines such as Blues Revue and Blues and Rhythm magazines. Dan’s comfort onstage,and quality of the performance is undeniable; his commitment and musical talent lends itself to an easy rapport with the audience. Dan recently teamed up with the Vincent Record label, and his latest full length CD “Going Home” was released in July, 2014. In “Going Home”, Dan Phelps pays tribute to some of the originators of the blues, men such as Charley Patton, Skip James, and John Estes, among others. Bob Corritore performs this weekend at the Edmonton Blues Festival in sets with Henry Gray, Junior Watson, Fred Kaplan and guest appearance with Adrianna Marie & Her Groovecutters! Check out the poster and this festival’s unbelievable lineup! 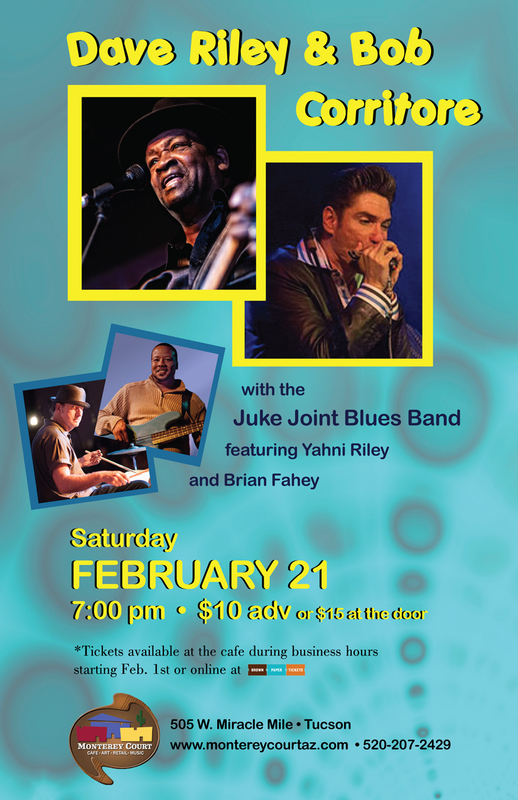 The Dave Riley & Bob Corritore Juke Joint Blues Band performs tomorrow night at The Rhythm Room! Visit BigBluesBender.com for information and tickets! Vote now for Living Blues Awards! 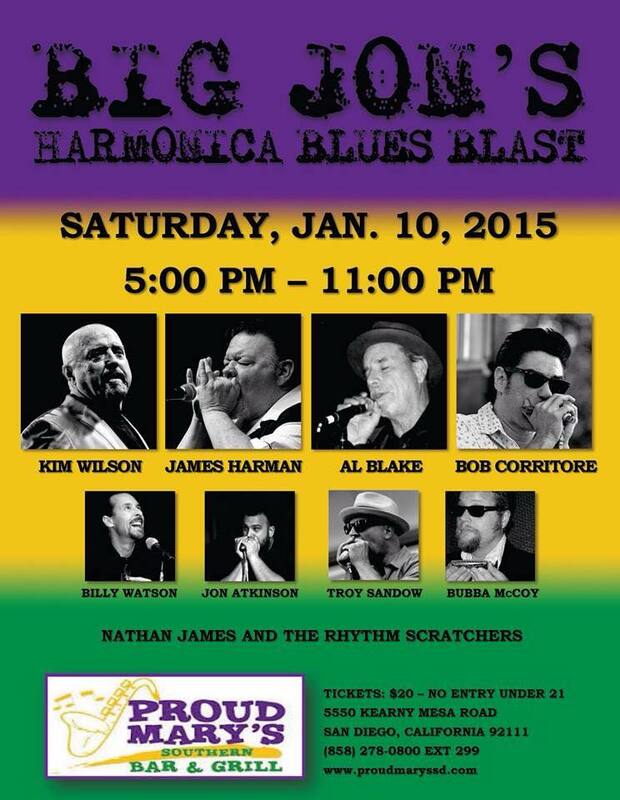 Bob Corritore nominated for Living Blues Award in the Harmonica category! Thanks Living Blues Magazine for the exceptional honor and recognition to appear among the dignified nominees in the category of Outstanding Musician (Harmonica). Today is the last day to vote at www.livingblues.com! Please click on the image below and vote your choices! Voting open now for Living Blues Awards! 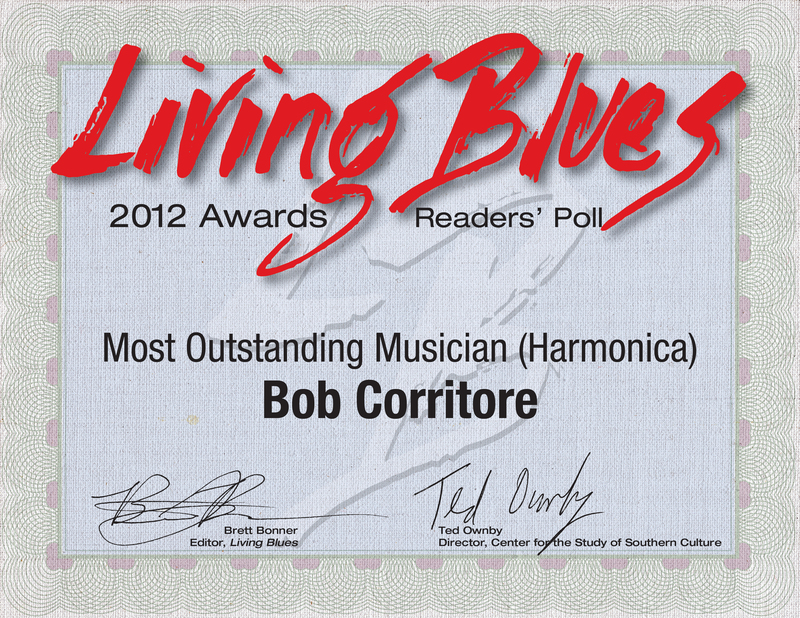 Bob Corritore nominated for Living Blues Award in the Harmonica category! Thanks Living Blues Magazine for the exceptional honor and recognition to appear among the dignified nominees in the category of Outstanding Musician (Harmonica). So many great artists and close friends in this and all the other categories. Voting is open now until July 15 at www.livingblues.com. Please click on and vote your choices! 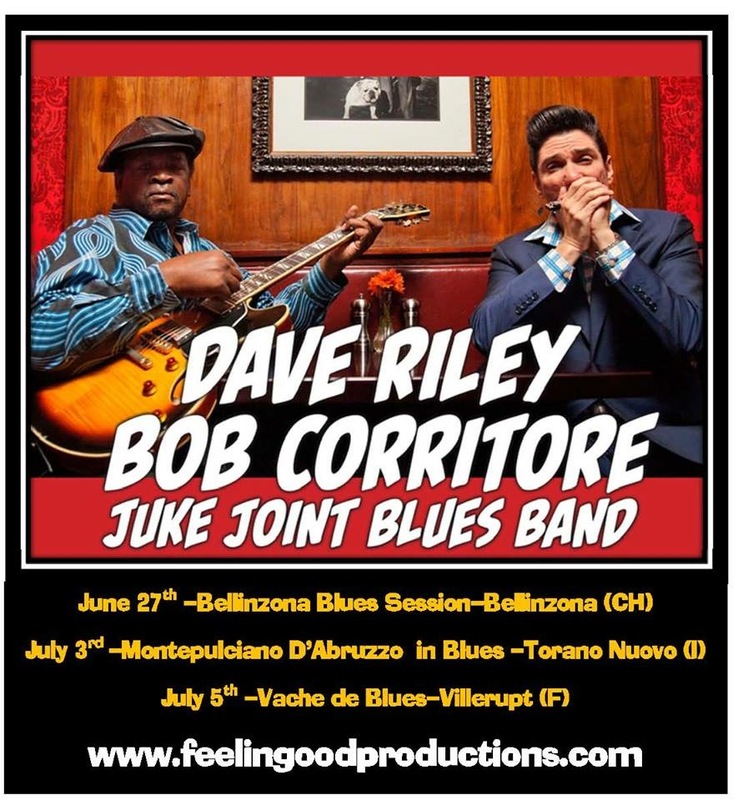 Bob Corritore Euro Dates! 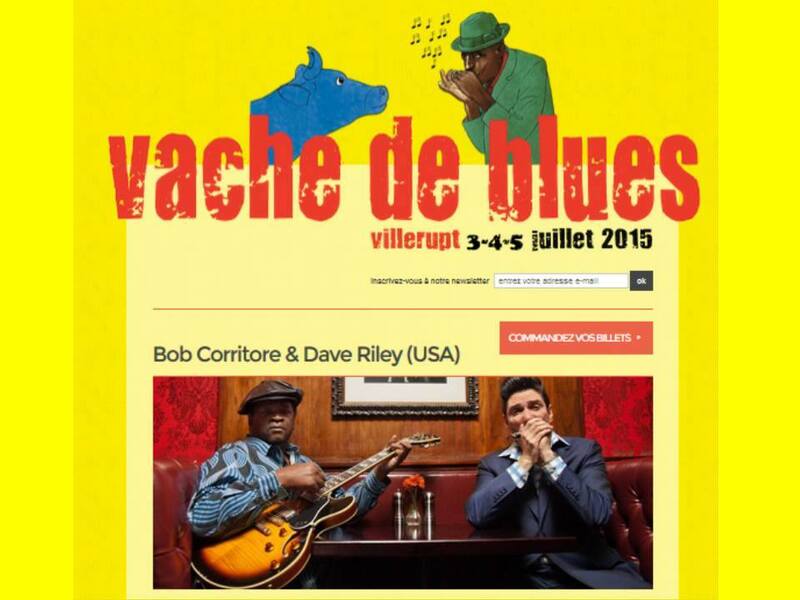 Tomorrow Dave Riley and Bob Corritore head to Europe to perform for 2 weeks at festivals in Switzerland, France and Italy. 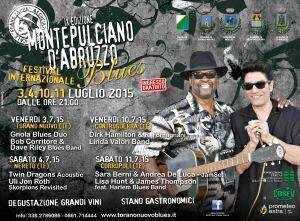 This tour was put together by the great Tano Ro and Feeling Good Productions and will include a support band of top Italian blues players. 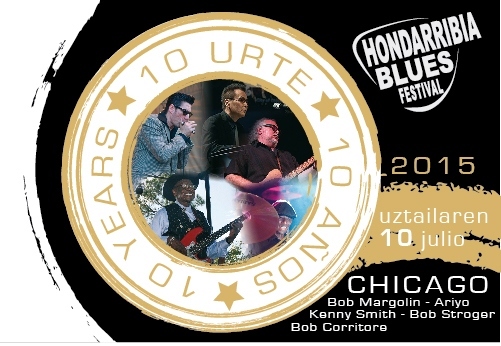 After that 2 week period, Bob Corritore will fly to Spain to meet up with Bob Margolin, Bob Stroger, Kenny Smith and Ariyo for an all-star Chicago blues package at the Hondarribia Blues Festival. 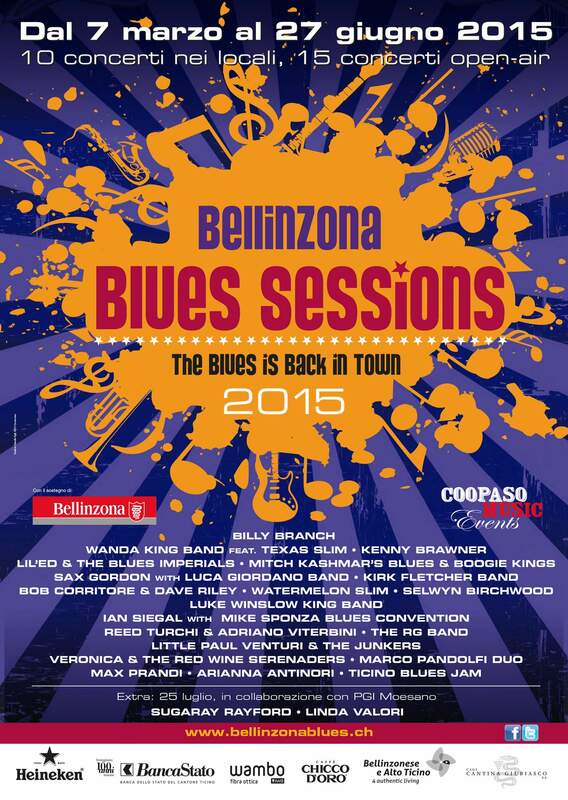 June 16, 2015 – The Henry Gray / Bob Corritore Sessions Released Today! CD Release Party on Friday at The Rhythm Room! Today is the official release date for The Henry Gray / Bob Corritore Sessions / Vol. 1 Blues Won’t Let Me Take My Rest on Delta Groove Music. Henry Gray will be coming to Phoenix to join Bob Corritore at his nightclub, The Rhythm Room, for a CD Release party this Friday, June 19th! At 90-years young, Louisiana native Henry Gray has amassed an incredibly prolific career in American music. With a history of performing that spans more than seven decades, the acclaimed blues pianist is probably best known for his 12-year tenure, beginning in 1956, with the legendary vocalist Howlin’ Wolf. Gray’s role as a highly in-demand session player has graced such revered labels as Chess, Vee-Jay and United, whereby he was featured on a multitude of iconic recordings including those by Bo Diddley, Jimmy Reed, Jimmy Rogers, Morris Pejoe and Little Walter. More recently, some of Gray’s further notable accomplishments include; a 1998 Grammy Award nomination for his work on the album, A Tribute to Howlin’ Wolf; a featured segment in Martin Scorsese’s seven part series, The Blues, which aired nationally on PBS; a guest appearance on the live recording, Time Brings About a Change… A Floyd Dixon Celebration, featuring Floyd Dixon, Pinetop Perkins and Fred Kaplan; as well as becoming a recipient of the National Heritage Fellowship Award by the National Endowment for the Arts in 2006. Gray’s association with harmonica ace Bob Corritore was first established in 1996. Their visceral cohesiveness and long standing musical bond has produced a consistent body of work that’s steeped in purity and tradition. Past collaborative efforts by this formidable pair include the 1999 release of Corritore’s All-Star Blues Sessions, Gray’s Plays Chicago Blues, which received Blues Music Award nominations in 2002 for both Comeback Blues Album of the Year and Traditional Album of the year, and a pair of Corritore’s Delta Groove outings including, Longtime Friends in the Blues, featuring veteran Chicago blues vocalist Tail Dragger, as well as Harmonica Blues, which took the BMA’s top honor for Historical Album of the Year in 2011. With Gray’s recent 90th birthday (born January 19, 1925), Corritore has taken it upon himself to share more of this truly valuable musical partnership by liberating another treasure trove of melodious gems from his seemingly infinite recording vaults. This first volume presents a 14-song selection recorded over a 19-year period, in which all but four tracks are previously unissued. Gray handles the lion’s share of the vocal duties on ten of these selections, with Robert Lockwood, Jr., John Brim, Nappy Brown, Tail Dragger and Dave Riley providing one vocal each. At the core of these songs are the Gray and Corritore team, who effectively demonstrate their robust musical prowess and understated taste. They are joined on the proceedings by a rotating lineup of some of the blues’ finest musicians for a program of fully-realized songs that alternate between rollicking, partying jumps and shuffles, to the deepest of blues! 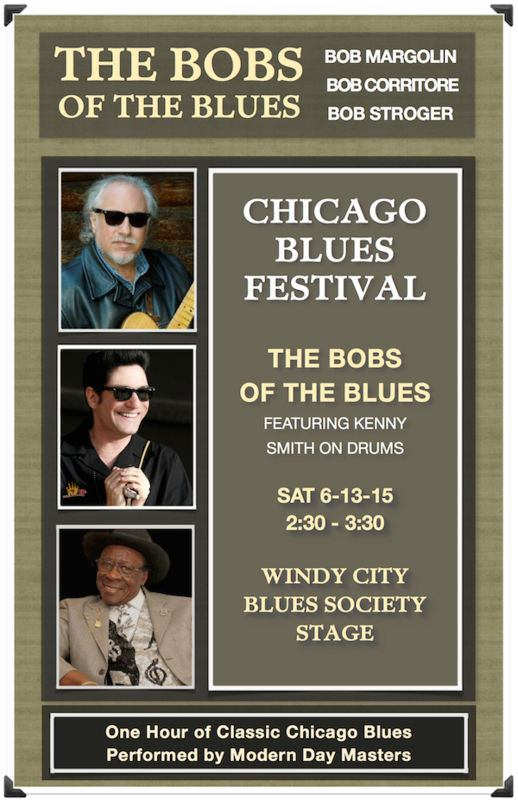 June 8, 2015 – Bob Corritore Appears In Chicago This Week! 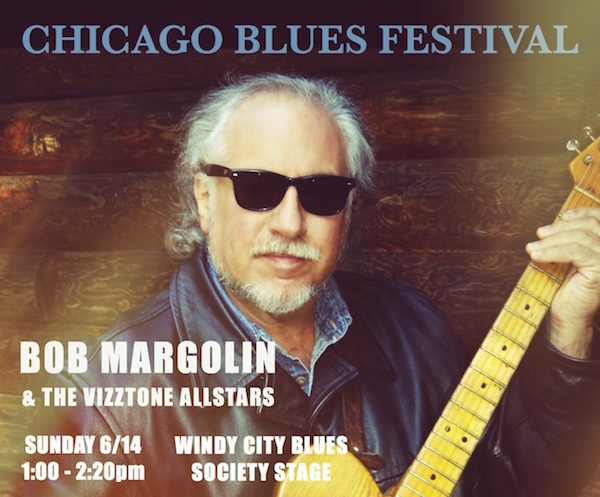 Bob Corritore returns to his hometown to play the Chicago Blues Festival and a few extra cool club dates! Here is where he will be! 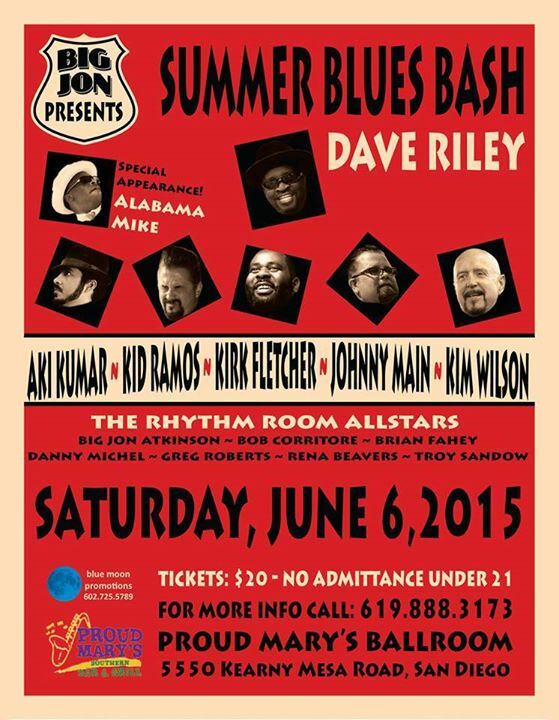 June 6, 2015 – Big Jon’s Summer Blues Bash TONIGHT in San Diego! Read the interview at BluesBlastMagazine.com! Off to the Monsteras Blues & Roots Festival in Sweden! This Friday and Saturday, the Monteras Blues & Roots Festival in Sweden will include the entourage of Henry Gray, Sugaray Rayford, Junior Watson, Fred Kaplan, Kedar Roy, Rena Beavers, and Bob Corritore in three separate shows each with a different feature. Also appearing at the fest are Johnny Rawls, Roffe Wikstrom, Chris Ruest & Travis Green Band,Jump4joy, TNT Bluesband, Viginia & Skybenders, Bo Wilson Band, Ulf Sandstrom, Among Lynx, Top Dogs, The Hightones, Oskarshamns Folkhogskola, Hvita Bandet, On Cue Bluesband, The Oldsfire Band, Jan Stjarnhjelm Trio, The Aces, Hurley & The Blue Dots, Southern Band,Agegap Band, Thorner Band, Gotasalongen, Royal Blues Band, The Valley Cats, Anna Carlsson, Incident, Wednesday, Ghiab,Emilio/Glazzrain, and High Five. To see the beautiful event poster, click here! Thanks for the Podcasts! Thanks to Drew Verbis of Blues America and to J Taggaberry, host of “Black And Blues” on Ottawa’s CKCU 93.1FM. Both hosted podcast featuring the music and story Bob Corritore. To hear the Blues America podcast, click here. To hear the Black And Blues podcast, click here. Blues America will have future podcasts featuring Dave Riley on May 30, and Willie Buck on June 6. Big Jon’s Summer Blues Extravaganza on June 6 in San Diego! Big Jon Atkinson is at it again with a spectacular showcase on June 6at Proud Mary’s In San Diego. Included in this great lineup are Kim Wilson, Dave Riley, Alabama Mike, Kid Ramos, Johnny Main (of The 44s),Kirk Fletcher, Aki Kumar, and The Rhythm Room All-Stars with Big Jon Atkinson, Bob Corritore, Brian Fahey, Danny Michel, Troy Sandow plusGreg Roberts and Rena Beavers! To see the beautiful poster, click here! 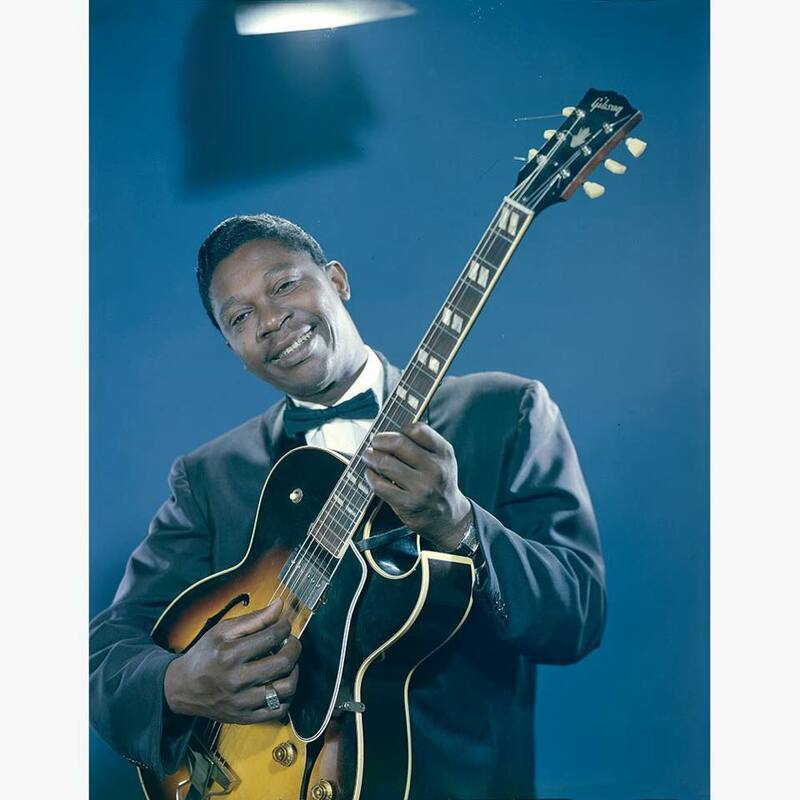 B.B King death probed as homicide after poison claim. Please say it isn’t so. Click here to view the article. Etta James on The Beat! Please enjoy this YouTube clip of the amazing Etta James singing her hit “Something’s Got A Hold On Me” on The Beat TV show! Check out Clarence “Gatemouth” Brown as the guitarist of the house band! Click here to see. 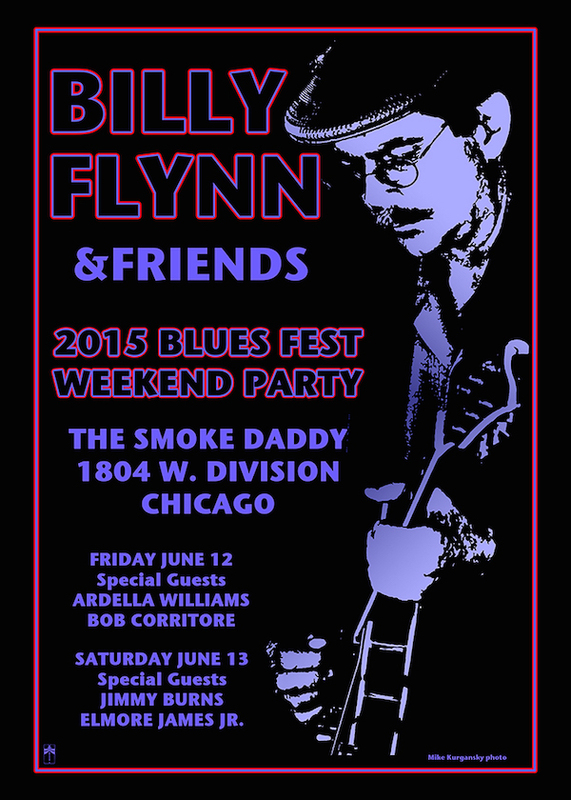 May 22, 2015 – Great Blues Shows at The Rhythm Room This Weekend! The Henry Gray / Bob Corritore Sessions to be released June 16 on Delta Groove! This collection of 14 songs recorded between 1996 and 2015 represents a cross-section of some of the highlights of the collaborations between legendary piano master Henry Gray and harmonica ace Bob Corritore over a 19 year period. Henry Gray turned 90 years old on January 19th of this year, and so this CD will celebrate that great milestone! Special guests include Robert Lockwood, Jr., John Brim, Willie “Big Eyes” Smith, Nappy Brown, Tail Dragger, Dave Riley, Bob Margolin, Kid Ramos, Big Jon Atkinson, Bob Stroger, Doug James, Chris James & Patrick Rynn, and many more! To see the cover and CD art, click here. Great blues at the Rhythm Room this weekend! Willie Buck, Chico Chism Celebration, Adrianna Marie! The Rhythm Room in Phoenix features from some great blues this weekend:Friday, May 22 – Willie Buck with The Rhythm Room All-Stars! 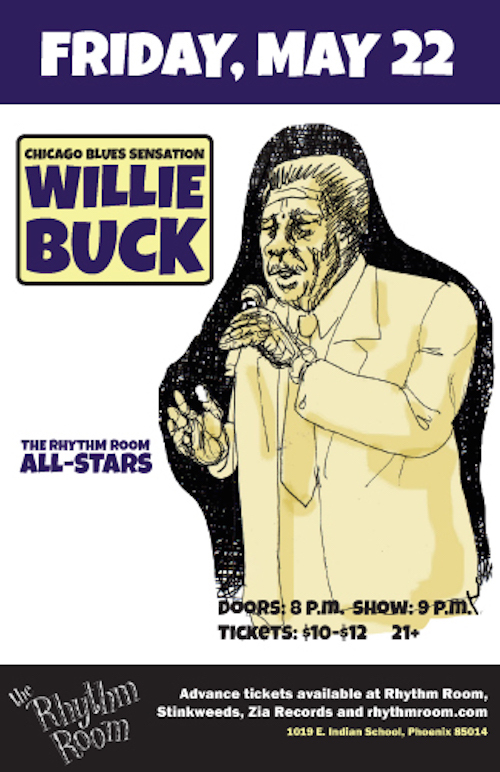 Veteran Chicago bluesman Willie Buck brings his Muddy Waters inspired blues to Phoenix where he will be backed by the Rhythm Room All-Stars – Bob Corritore, Big Jon Atkinson, Troy Sandow, Brian Fahey and very special guest Mojo Mark Cihlar! 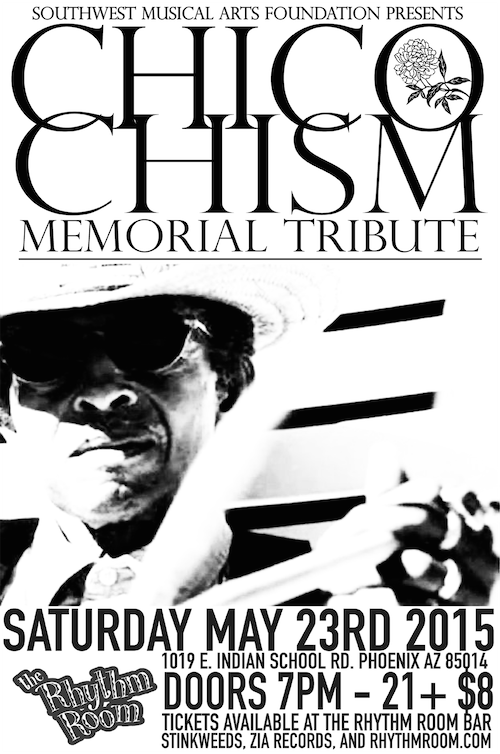 For more information on this event, click here!Saturday, May 23 – Chico Chism Memorial Birthday Bash! Hosted by The Rocket 88’s with many special guests including Dave Riley, Bob Corritore, The Rhythm Room All-Stars, Mike Eldred, Gypsy Wild At Harp, Country Soul Bob, George Vaught, Buzz Fowler, Lynn Avril, Walkin’ Cane Mark, Johnny Rapp, Ray Ray and Uvon, Bluesman Mike Anderson, Larry Dee, Nina Curry, Harmonica Mark, Frank Rossi, Johnny Tanner, Paris James and more! Chico Chism spent the last 20 years in Phoenix as a highly respected and celebrated blues figure who personified the musical genre. For more information on this event, click here!Sunday May 24th – Arianna Marie & Her Groovecutters! A jump blues paradise with sweet-voiced Adrianna Marie leading her swingin’, horn and guitar driven blues band for a rowdy night at the Rhythm Room! Swing dancers welcome! For more information on this event, click here! 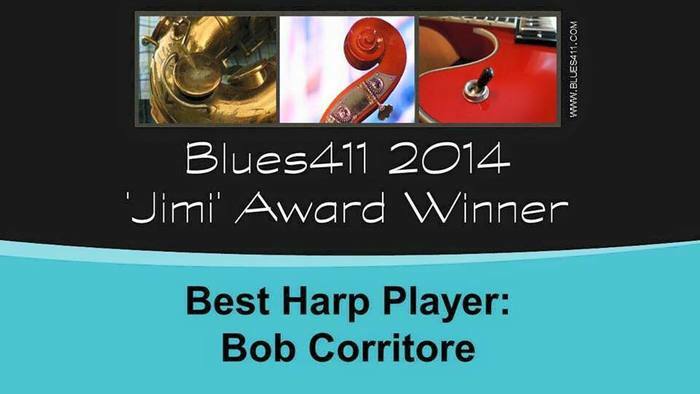 Blues America to feature Bob Corritore podcast this Saturday! Blues America is a new podcast hosted by Drew Verbis, who is presenting a series of interview features of various artists and subjects with a media-savvy, modern day edge approach to blues presentation. His first podcast debuted last week and featured Jerry Lawson and highlighted Jerry’s latest release Just A Mortal Man on Red Beet Records. His Bob Corritore feature debuts May 23rd, and the following week will feature Dave Riley. For more information go to www.bluesamerica.com. Sugaray Rayford releases Southside! 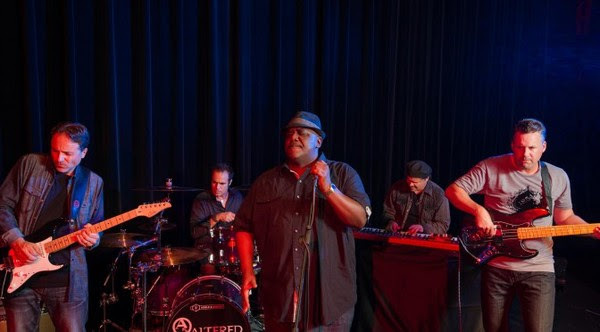 In the last few years, Sugaray Rayford has emerged as one of the greatest forces in the blues with his powerful gospel-infused vocals, his 6’4′ stature, his animated stage show, and his great band-leading and fronting. He has had simultaneous success as both the lead singer of The Mannish Boys, and fronting his own powerful horn driven R&B band. His new CD, Southside, just out this week on Nimoy Sue Records, is an example of the later. This is a contemporary soul/blues masterpiece with 9 beautifully written orignal compositions. 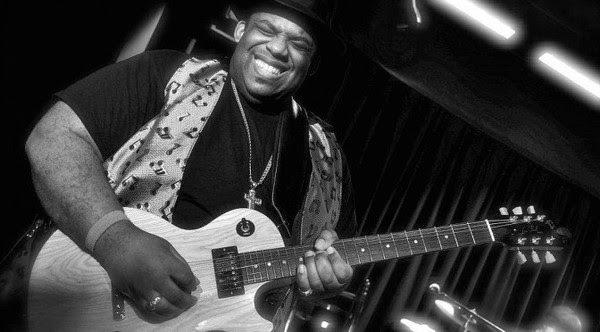 Sugaray’s band includes Gino Matteo, Ralph Carter (who also co-wrote most of the songs), Lavell Jones, Allan Walker, Gary Bivona, Leo Dombecki and Jade Bennett with additional album guest appearances by Zara Davis, Rachelle Quiogue, John Thomas, Bob Corritore (guest on one song), George Pandis and Bill Bixler. To see the cover and to order, click here. Sugaray will host a CD Release Party on June 27 at the Rhythm Room (click here for more information). 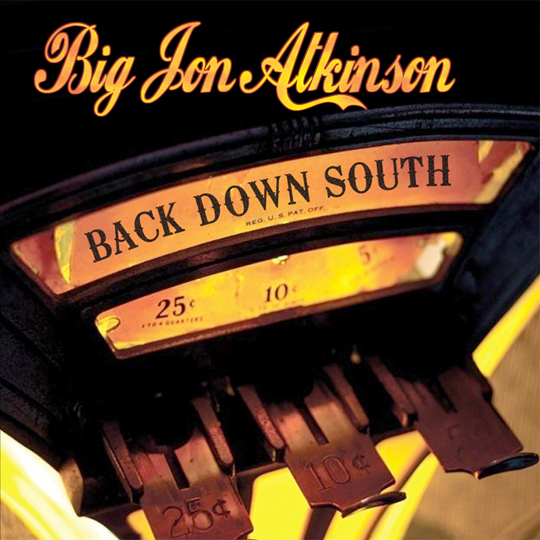 Big Jon Atkinson / Way Down South released! This week marks the official release date of Big Jon Atkinson / Way Down South on the Bluebeat Music Label. Big Jon is an amazing young blues talent with a great love and understanding of the traditional blues. 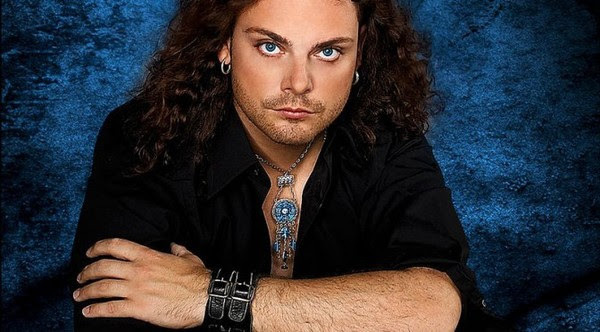 He is an exceptional vocalist with a natural blues voice and a multi-talented instrumentalist, equally adept at guitar, harmonica, drums and singing. Additionally, he is a collector of vintage equipment and has a home studio filled with the old school gear, making for a true vintage-sounding release. Big Jon is backed on this release by Kim Wilson, Bob Corritore, Fred Kaplan, Troy Sandow, Kedar Roy, Marty Dodson, Nathan James, Bill Stuve, Danny Michel, Johnny Vaiu, Bob Welch, Terry Hanck, Malachi Johnson, Kid Andersen, and Martin Windstead. But the album is all Big Jon and it exudes the blues with sensitivity and authority. To read more and to order, click here. B.B. King funeral arrangements. This is directly from B.B.’s daughter, Rita King: “My father will be memorialized May 22-23, 2015. The public viewing Friday, 3 -7 PM Palms Mortuary 1600 S. Jones LV 89146. The funeral service, Saturday 11 AM Palms Mortuary 1325 N Main Street LV 89101.” King’s body will be then sent to Mississippi for burial and there is talk of additional ceremony to honor the passing of the king of the blues. Big Blues Bender 2014 Look Back Video! As we look forward to upcoming Big Blues Bender in Las Vegas on September 10 to 13, we look back at this great video of some highlights of last year’s magical performances (including a snippet of Lil’ Ed and Bob Corritore). To see the video, click here. 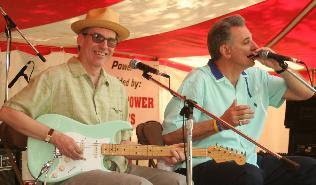 For more information on this year’s Big Blues Bender go to www.bigbluesbender.com! Muddy Waters 1981 UK Interview! Muddy Waters provides a great interview here. The YouTube description: “An interview with the legendary American blues musician Muddy Waters. Considered one of the foremost artists in blues history. Muddy was in Jersey, Channel Islands performing a concert at Fort Regent leisure centre. First broadcast on Channel Television on the 24th June 1981.” Click here to see. The Aces play “Off The Wall” on YouTube! The Aces were considered by many to be the consummate backing group in Chicago blues. They consisted of drummer Fred Below on drums, and brothers Louis and Dave Myers. Louis played guitar as a primary instrument, but would play part of each show on harmonica (he played both brilliantly), and Dave played both bass and guitar (depending on the time period). This video from 1970 shows Louis on harmonica playing a song that he and the Aces played behind Little Walter on the original hit record of 1953. No wonder why Louis Myers plays the song “Off The Wall” like he owns it! Below is killing it on the drums, Dave Myers is solid as a rock on the bass and an unidentified and unseen guitarist (Eddie Taylor?) is playing all the right stuff Click here to see. We say goodbye in gratitude for all that you were to us. Truly the king of the blues! 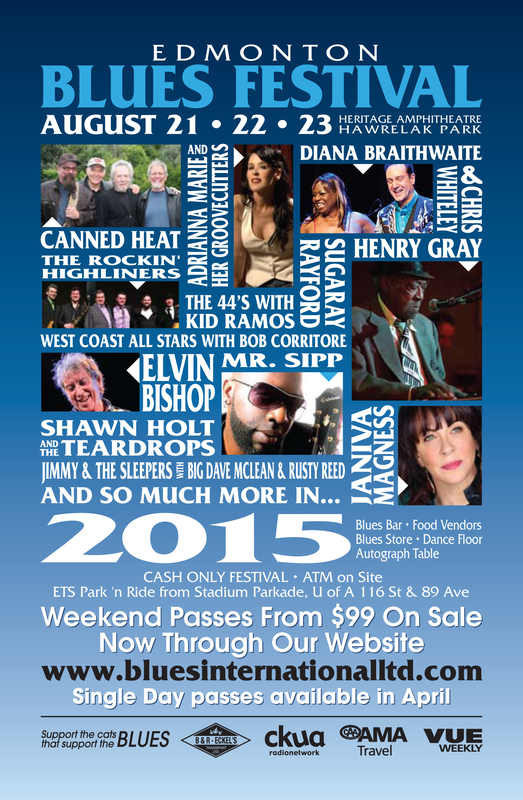 May 13, 2015 – Big Jon & The Nationals (with Bob Corritore) Appear Sunday, May 17 at the Doheny Blues Fest! Big Jon & The Nationals (with Big Jon Atkinson, Danny Michel, Troy Sandow, Marty Dotson and special guest Bob Corritore) will perform Sunday at 11:30am at the Doheny Blues Festival in Dana Point, California. This will also be the first day that Big Jon’s brilliant new CD Back Down South (Bluebeat Music Label) will be available for sale! Check out the huge fest lineup! Hope to see you there! Visit DohenyBluesFestival.com for more info and tickets! 05/08/15: Memphis, TN – Hard Rock Café, set with John Primer at 7pm for Generation Blues Fundraiser hosted by Nick Nixon / Andy T Band. 05/29/15 & 05/30/15: Monsteras, Sweden – Monsteras Blues & Roots Festival with Junior Watson, Fred Kaplan, Kedar Roy, Richard Innes – performing a Taboo set, and separate sets with Henry Gray and Sugaray Rayford. 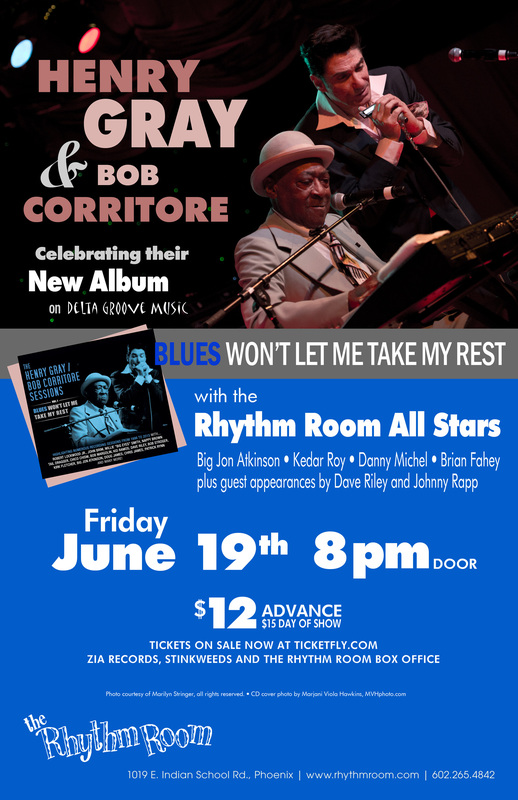 06/19/15: Phoenix, AZ – Rhythm Room, CD Release party for The Henry Gray / Bob Corritore Sessions CD! 09/10/15 to 09/13/15: Las Vegas, NV – BIG BLUES BENDER doing a special duet set with Lil’ Ed and various other guest slots throughout the event. 10/16/15: Phoenix, AZ – Rhythm Room with Tail Dragger, Rockin Johnny, Illinois Slim, Big Jon Atkinson, Brian Fahey and surprise guest! I sadly report the passing this morning of Randy Chortkoff, CEO of Delta Groove Productions, master of Jimmy Reed style harmonica, blues organizer and cheerleader extraordinaire, and my friend for over 35 years. Thank you Randy for all that you did for all of us. 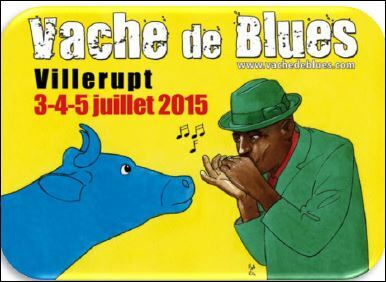 Visit bluesfestival.nu for more information! Visit WWW.RHYTHMROOM.COM for info and tickets! Visit www.bluesinternationalltd.com for the full lineup! Release date June 16, 2015 on Delta Groove! The legendary blues pianist Henry Gray has collaborated with harmonica ace Bob Corritore since 1996. The visceral musical cohesiveness and their long standing musical bond has produced consistently stunning recordings that are steeped in purity and tradition. With Henry’s recent 90th birthday (born January 19, 1925), Bob Corritore took it upon himself to share some of these true musical gems from his seemingly infinite recording vaults. The first volume presents a 14 song selection recorded over a 19 year period, in which all but 4 tracks are previously unissued. Henry sings 9 of these selections and Robert Jr. Lockwood, John Brim, Nappy Brown, Tail Dragger, and Dave Riley provide one vocal each. At the core of each of these songs are the Gray and Corritore team who demonstrate their robust musical prowess and understated taste. Joining the proceedings are a rotating lineup of some of the blues’ greatest musicians for a program of fully-realized songs that alternate between rollicking, partying jumps and shuffles to the deepest of blues! For the full artwork click here. This release made possible by the generous donations to Southwest Musical Arts Foundation. Thank you! THE BIG BLUES BENDER IS HEADING DOWNTOWN! The soul of the city. Neon flash and vintage on one end, and old-school cool with a hipster attitude on the other. Here, it all works. This walkable district is charged with a new energy. And it may be the best people-watching spot in town. It’s where it all began. Enter The Plaza Hotel under the classic twinkling dome and feel like a high roller. Then stride across the marble floors into plush, luxurious rooms with first-class amenities and exceptional service. It’s the result of a $35 million renovation. And you’ll feel the excitement throughout the hotel. Step right out the front door to explore Fremont Street. What’s great about staying Downtown is that all of the attractions are close together so you can explore more with less walking. 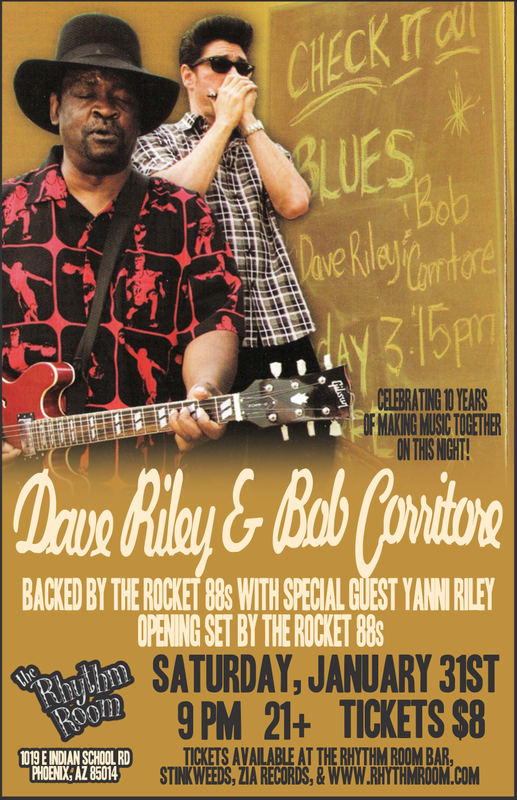 January 31, 2015 – Dave Riley & Bob Corritore Celebrate 10 Years Together Tonight at Rhythm Room! Visit BigBluesBender.com for more info! This week Henry Gray will have celebrations of his 90th birthday in both Tucson and Phoenix! Note that Henry Gray’s actual birthday is Jan 19, 1925. Henry is the last of the great Chicago Blues pianists from it’s golden era of the 1950s. His work includes classic recordings with Howlin’ Wolf, Little Walter, Jimmy Rogers, Jimmy Reed, Billy Boy Arnold and more! Henry is still going strong and is playing and singing at the height of his powers! Also this week, The Arizona Blues Hall Of Fame inducts 10 year Phoenix resident Dave Riley as well as The Rocket 88s and The Hoodoo Kings with a special ceremony this Sunday at The Rhythm Room! For more info, click the flyers below! January 6, 2015 – Amazing Harp Show in San Diego This Weekend!